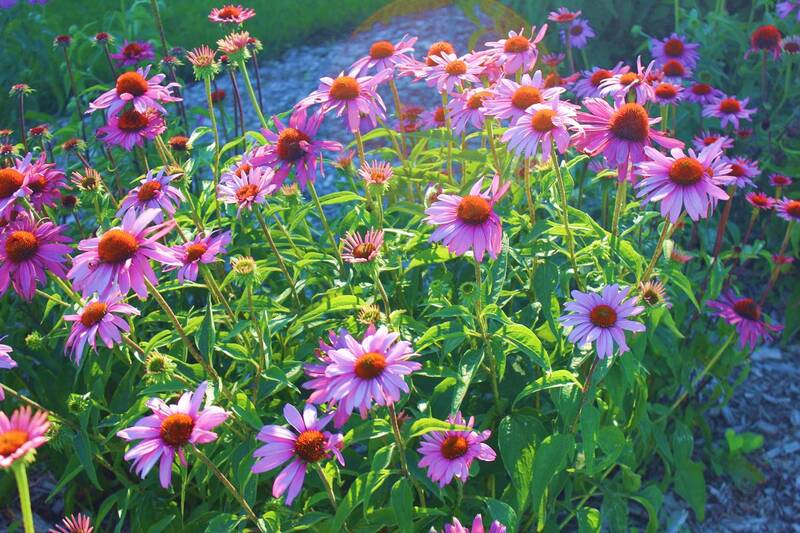 We’ve compiled a list of the our best-selling, most reliable perennials for Central Nebraska. 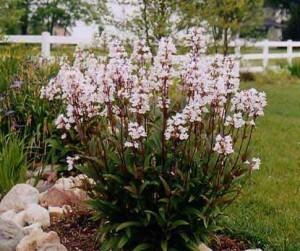 We have carried these varieties of perennials for several years and have eventually compiled this list based on the performance of these perennials. These varieties will give you the most color, most flowers, have the least amount of maintenance, and are the most hardy. 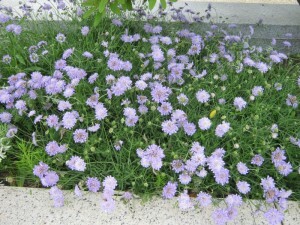 Make sure you find room in your landscape for these tremendous perennials! 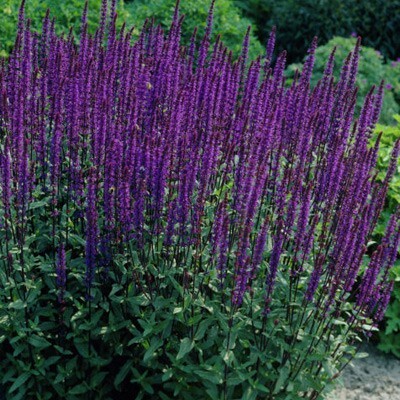 A neat, clump-forming plant w/stunning deep purple flower spikes May-August. Plant in full sun, mid-border along with ’David’ phlox and ‘Stella de Oro’ daylily. ‘May Night’ continues to be one of the most stunning plants in the perennial border. Grows 22-28” tall. This cheery plant seems to never stop blooming. 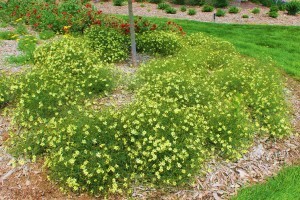 It’s bright yellow, star-shaped flowers and lacy foliage compliment every other plant in the sunny border. ‘Moonbeam’ continues to be one of our best selling perennials. Grows 18” tall. This ‘Great Plant for the Great Plains’ is a University of NE introduction. 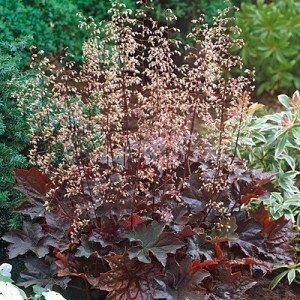 ‘Husker Red’ has delicate white flowers that dance above striking, deep-red foliage. This early bloomer pairs nicely with almost anything in a sunny border. Grows 20-24” tall. This charming plant blooms forever. It’s ‘pincushion-like’ flowers attract butterflies and are excellent for cutting or drying. 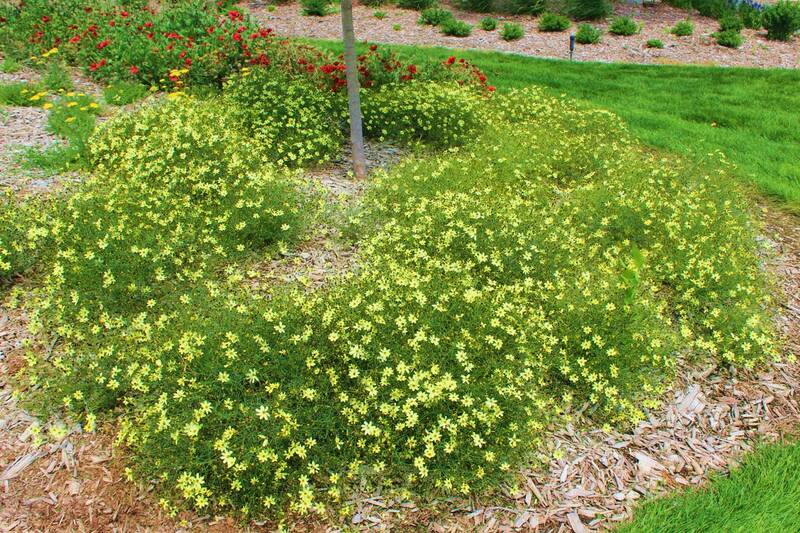 Plant in the front of the perennial border along with ‘Moonbeam’ coreopsis in full sun and well drained soil. Grows 18” tall. No perennial garden should be w/out ‘Autumn Joy’. This hardy, easy-to-grow plant gives a long season of interest. 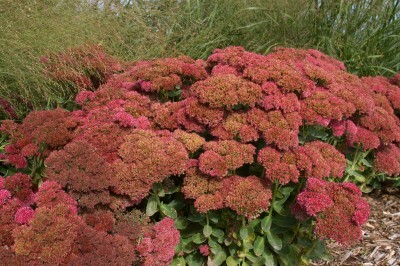 Blue-green foliage support massive rosy-pink late summer flowers, darkening to coppery-red in the fall. 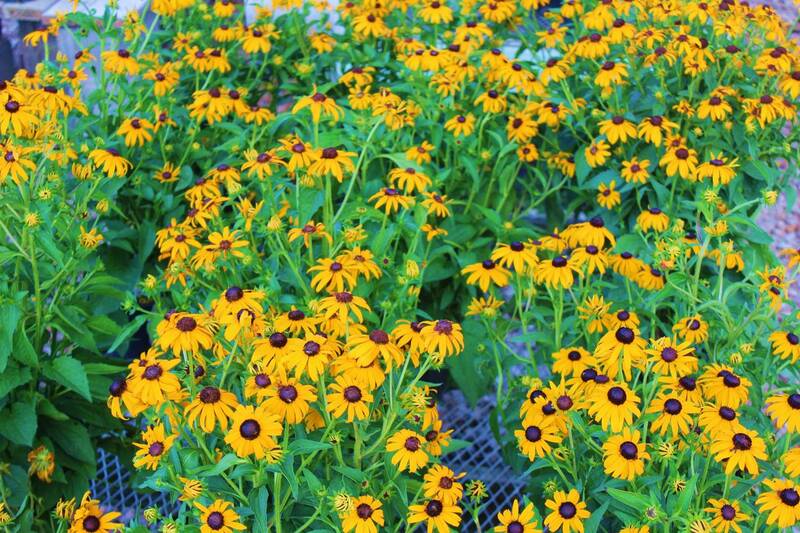 Exceptional color combination when planted alongside ‘Russian Sage’ & ‘Goldsturm’ Rudbeckia. Blooms in full sun. Grows 24” tall. This prairie wildflower sometimes get a bad rap. But ‘Goldsturm’ isn’t your common ‘Black-eyed Susan’. 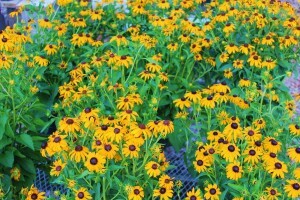 This superior variety displays magnificent deep-yellow flowers over sturdy dark green foliage. Looks striking next to ornamental grasses and ‘Russian Sage’. Blooms mid-summer through fall. Grows 24” tall. 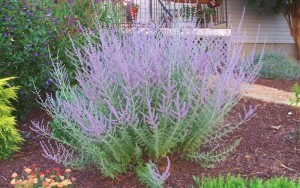 This shrub-like perennial displays delightful sprays of lavender-blue flowers above silvery foliage. It thrives in full sun and hot weather. Use in the back of the border to create height and contrast. Combines nicely w/ornamental grasses. 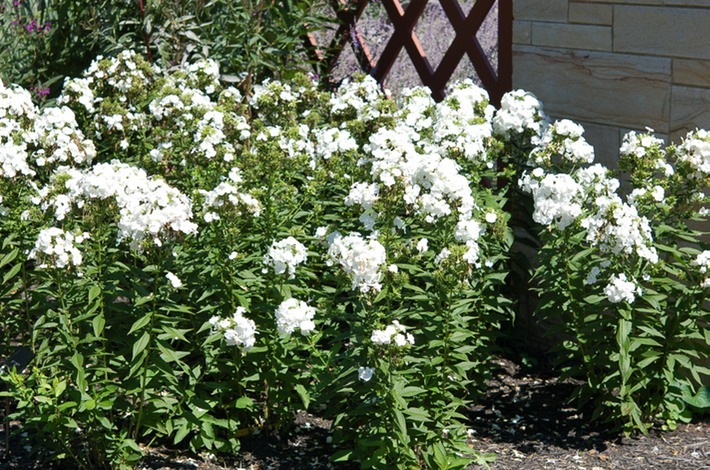 This summer blooming garden phlox has deliciously fragrant, white flowers above tall, mildew resistant foliage. Plant in the back of the flower border along side coneflowers and delphiniums. Blooms July-Aug. Grows 36-40” tall. An eye catching plant w/mounds of bold, deep purple foliage and airy clusters of white flowers resembling bells. Offers color spring-fall in the front of a semi-shade flower border. Mixes nicely w/ blue hostas. Grows 12-14” tall. This prairie wildflower continues to be in high demand. Dark Purple, daisy-like flowers stretch horizontally surrounding an intense, copper colored seed head. Birds and butterflies alike love this very adaptable plant. Blooms all summer into early fall. Plant in full sun towards to back of the border. 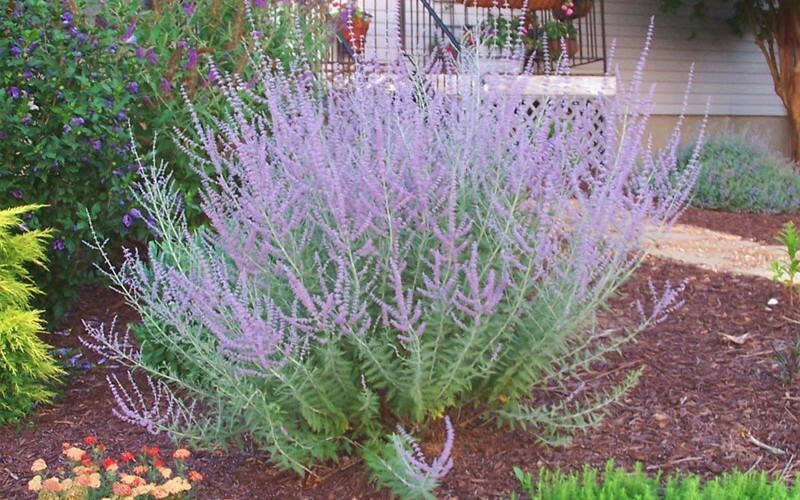 Combines nicely w/ ’Russian Sage’. Grows 36” tall. Most dependable of all perennials! There’s no end in sight to the number of varieties available (over 40,000). They come in a rainbow of colors, heights and bloom times, extending the flower season from May-Aug. They’re disease-free and can be grown anywhere. Try them planted in masses, in combination w/ other perennials or even in containers! First class shade plants that are ever-increasing in demand. Hostas are now the # 1 selling perennial. Gardeners have a passion for these collectors items w/ over a 1,000 varieties to choose from. All very adaptable to our Nebraska landscapes adding foliage color and texture. These gems of the garden are becoming increasingly popular and essential elements in landscape design. They’re easy to grow and add movement and texture unlike and other plant. Ornamental Grasses make spectacular, eye-catching garden features.